This month it was catching up on Netgalley reviews, while also adding some more *cough* and all the library books. I still have about eight checked out I need to read before the 23rd. FYI, I'm a romance reader mostly and these are all romance, if that's not your thing I totally get it. I'm hard pressed to read a lot of genres. 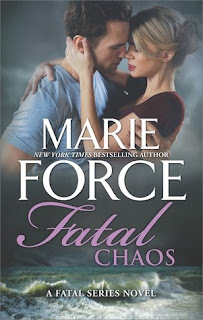 I love how Marie Force does not make the book drama between the main characters. The outside forces are enough for these stories. There were similarities between the murders in Fatal Chaos and something Our Area experienced late last year so when I can relate that just makes a story so much more interesting to me. All of the characters in the Fatal series continue to entertain me and I'm always anticipating the next in the series!! 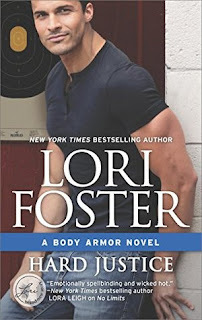 Hard Justice by Lori Foster is the second book in the Lori Foster Body Armor series and surprisingly, I loved it more than the first. Justice Wallington knows how to harness his strength and intimidating size, skills he put to good use first in the MMA cage and now as a bodyguard at the Body Armor agency. But no opponent has ever left him feeling as off balance as his new client, heiress Fallon Wade. Far from a spoiled princess, she's sweet and intriguingly innocent. It's a risk-free assignment, until he's required to fake a relationship with her in order to blend in. Sheltered from the world after a family tragedy, Fallon longs to experience life, going to bars, dancing, talking to strangers. Not easy with a huge, lethal-looking bodyguard shadowing her every move. Justice seems like her polar opposite, but pretending to be a couple stirs undeniable heat. And when danger strikes again, it's not just her safety in jeopardy, but a passion that's real, raw and absolutely against the rules. The Wishing Season by Denise Hunter - I have no idea how this ended up on my holds list at the library but I'm so glad it did lol. This is the third book in the series and I've already ordered the first one because it's NOT at my library and will read the others in order. I have a heart for foster kids, especially those that age out so I just whipped through this book and was so glad to see the outcome I was hoping for. Synopsis: Living side-by-side, a fledgling chef and a big-hearted contractor find a delicious attraction. Hot Response by Shannon Stacey was *fans self* so what I love about a good hero story. There's just something about Stacey's writing that draws. me. in. Gavin was such a great guy and the relationship between Gavin and Cait really grew at a pace I've seen a lot among friends. The challenges facing them weren't drama for drama's sake and I thought the book flowed perfectly. Synopsis: Gavin Boudreau lives for the job, but he also believes in “work hard, play harder.” As the youngest guy in Ladder 37, he figures he’s got plenty of time before settling down becomes a priority. Soft, pretty women who aren’t looking for promises are exactly his type, and he’s comfortable with that. Working with a gorgeous EMT isn’t going to change who he is. Netgalley Read, Review is my honest opinion. 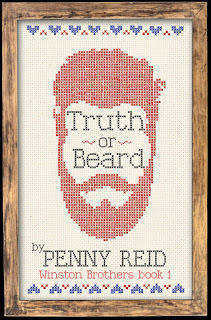 Truth or Bead by Penny Reid was just as good as I thought it would be. I can't wait to get my hands on the other books in the series, and I felt like this was the perfect first book in the series. I loved the chemistry between Duane and Jessica, plus the small town history always gets me. 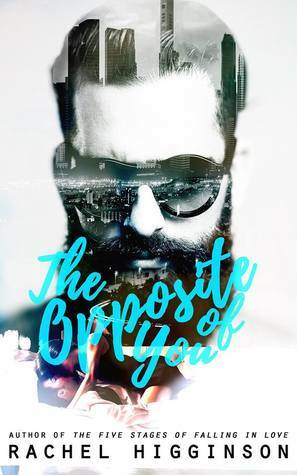 Synopsis: Beards, brothers, and bikers! Oh my! This was my first book by Rachel H. and I look forward to exploring her other works. 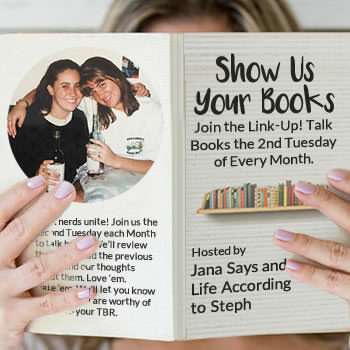 In Fighting Dirty by Lori Foster we really get to know the two main characters that we've seen throughout the series and it made for such a deeper connection between myself as the reader as well as the characters since they have known each other for years! I love how Rissy's brother Cannon actually pushed them together, knowing how they both felt and we're holding back. The suspense of who the attacks were targeting kept the book moving and I enjoyed the extra layer it brought. Looking forward to the body guard series to come!! Worth It All I'm such a sucker for a kid without a dad (or mom) in a romance book and the way it just adds to the story. The hero not only gets the girl, he gets the whole family. The connection between Casey and Jake was so precious. To see him help her out so much and in turn get the girl really just kept me wanting more for this couple, even beyond the ending. Love the McKinney brother series! Synopsis: She’s fighting for control. . . . Paige Roberts learned to fend for herself growing up. Now she’s doing everything possible to give her daughter, Casey, the stability she never had. But when the vivacious five-year-old decides she’s done wearing her prosthesis, Paige faces her toughest challenge yet: trusting a handsome, brooding stranger who simply wants to help. Score by Victoria Denault is the first in the San Francisco Thunder Series and while I enjoyed it there wasn't anything stand out to me. Synopsis: He's used to winning, but now he's playing with his heart. Under Pressure by Lori Foster was a good intro and I think the story just dragged and could have been finished a lot earlier. I loved getting introduced to the Body Armor series, because they have gotten significantly better to me. Lawman From Her Past by Delores Fossen had an interesting premise and was unfortunately just ok.
Amish Refuge by Debby Giusti - Romantic Mystery is hit or miss for me. This one felt like a never ending repeat of events. Catching Jordan by Miranda Kenneally really sounded like it would be a great book, I mean a girl football player and her team actually respects her as a leader. I have SOOOOO many books on my TBR list that have been added recently. I'm looking forward to a New Adult series by Mila Gray, Come Back To Me. The covers of those books are mighty pretty... ;). It's been awhile since I've indulged in a romance book. I think one might be in order later this month. I loved your synopsis of "Truth or Beard!" Too funny! I loved Truth or Beard. I devoured most of her Knitting in the City series last month and that is also fantastic!! Truth or Beard just intrigues me by the cover. ahhhhh i am so glad you enjoyed Truth or Beard! That might be my favourite by Penny Reid. I just adore Duane so, so, so much. I might have read it 3 times, can't stop won't stop. i also really liked the opposite of you! Not typically my type of reads but I have to say I am intrigued by the beard book. I don't read romance but the covers are way better than the ones on the books I do read. I don't read much romance these days but in my past - all the time. And Lori Foster was a favorite. I'm not familiar with these series but have you read her Edge of Honor series? I really liked that one! 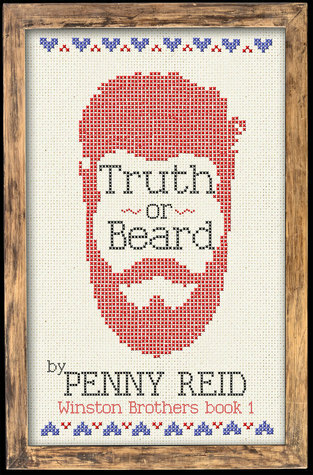 I have Truth or Beard downloaded on my ipad thanks to the recommendation of Kristen, I need to get around to it. I have so many netgalley books, its not even funny. I am adding Hot Response to my TBR. Wow you read a lot this month!! Birthday Beach Weekend and Reba! !